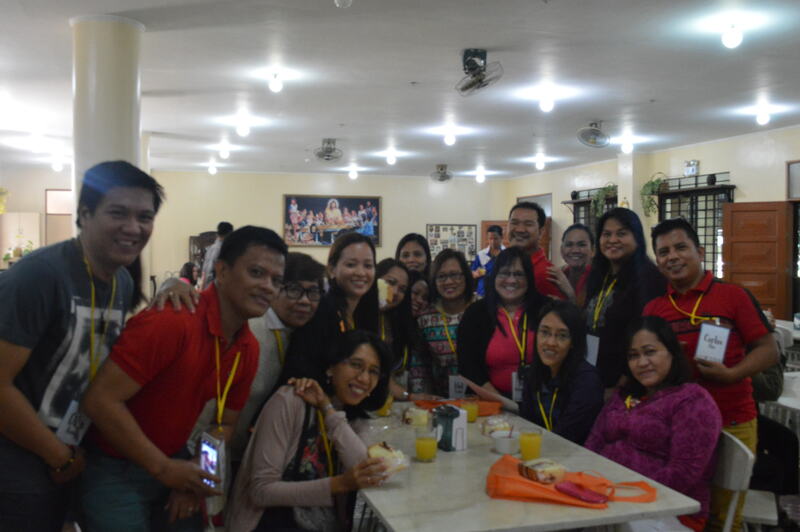 Forty-one Public School Teachers from Navotas National High School comprised the second batch of the Ninoy & Cory Aquino Leadership Journey for Public School Teachers last January 24-25, 2015. Below are reflections written by the participants of the Leadership Run for Public School Teachers Batch 2 about the experiences and insights they gained from the program. 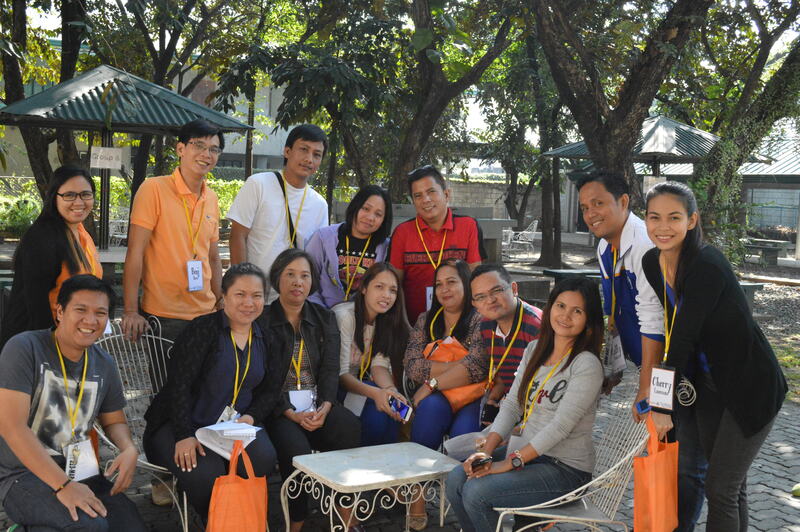 The Batch 2 Participants posing for the photo during one of their meal times. Ma. Editha F. Cases, M.A.P.E.H. “The Leadership Journey deepened and reinvigorated my passion and commitment in nurturing and helping my students achieve their maximum potentials. Tracing back my love affair with my vocation and reflecting on the events that made me a teacher reignited the fire of enthusiasm in me and gave me a purer heart that is willing to extend compassion, generosity and love to the least of my students. During one of the pair-sharing sessions of the Participants. “The 2-day NCA Leadership Journey was truly a wonderful gift to me as a friend, as a mother, as a wife, as a follower and most of all as a teacher. I’ve been teaching for 23 years, and I thought I had given my best to my students but after the seminar I had come to realized that it’s not enough that I imparted my knowledge to them. But instead I need to teach them with malasakit and pagmamahal. “The Leadership Journey has really changed my outlook in life as a teacher and as a person. My friends are making fun of me every day, every time I am coming to school early. Why? Before, I am not very particular with the official time in. It is like beating the red light always. But now, of course, it is a little bit different than the usual. “Praised the Lord! 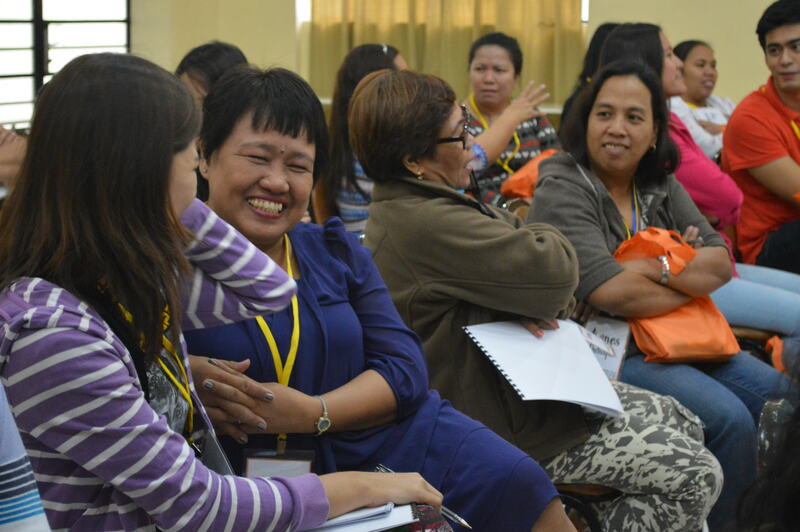 The Leadership Journey for teachers organized by the Ninoy & Cory Aquino Foundation was just on time. Being a teacher, sometimes I need a new atmosphere far from school, free from students. No lesson plan, grading sheets etc. It’s totally unwinding haggardness. “It was a grateful opportunity to be included in the NCA Leadership Journey. The experienced helped me to focus more in serving my student. Being a teacher entails to be caring and sensitive to our students’ need. The Journey taught me to go beyond in reaching them. The Journey opened my mind that it is not enough to teach them but to let them feel they are love. Job and service are different from one another, another insight that marked in my head. Job is something done in routine but service covers the totality of oneself to be able to help other’s peoples live. Service equates sacrifice for the good of everyone. “Sobra akong natutuwa dahil tama ang desisyon kong sumama sa Leadership Journey Batch 2. Dumating ang pagkakataong ito sa oras na kailangang-kailangan ko. Ito kasi ang panahon na masyado na akong napapagod kaya hindi ko makita yung purpsose ko kung bakit pa ako nanatili bilang teacher. Ang akala ko, pinipilit ko na lang pumasok para lang may maipangtustos ako sa gamot ko. Pero dahil sa Journey na ito sa loob ng dalawang araw, na-realize ko na kaya pala ako nananatili ay dahil ito ang nasa puso kong gawin. Kahit medyo nahihirapan ako sa bawat araw, naiisip ko ang mga estudyante ko. Kapag hindi ako nakakapasok iniisip ko kung kamusta sila, at sa tuwing nagtuturo ako iniisip ko kung natututo ba sila sa akin. “It is an enlightening activity that touched our heart and I realized the importance of showing care and love in our job. The perspective of most teachers on the teaching profession is only a kind of job that will give them salary and to have earnings and savings. But I realized that this job is very noble. Teaching is not about how much I save from my earnings but it is how I save the soul of a thousand learners that go through my hands. It is not about how I teach the contents of my subject but it is about how I inspire their lives because I show my concern and love for them. I got inspired by the talks of the invited speakers. I just wish that they multiply to inspire and enlighten more people. Now, I will try to make my own story that will also inspire other people. 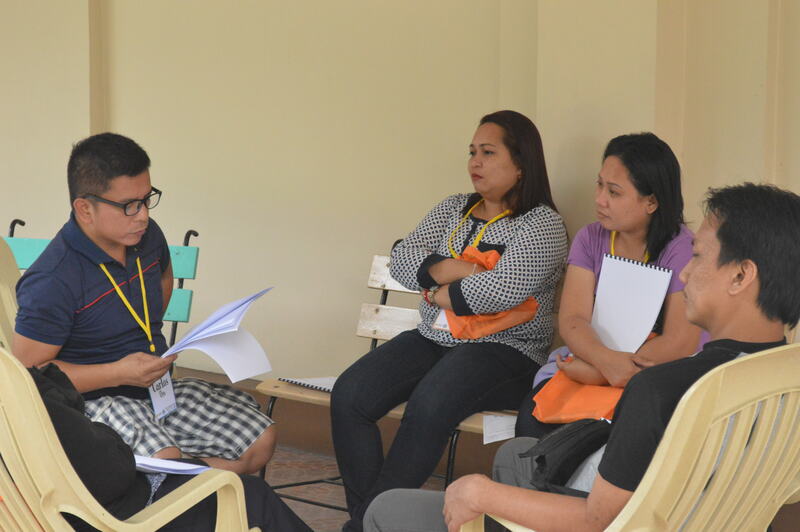 “The 2-day Leadership Journey of NCAF became an instrument to me to reflect and understand the will of God. With a very busy life, we tend to forget and appreciate the people around us, even ourselves. Because we are busy working, we forget to “stop” and reflect on the real essence of life. All the speakers in the Leadership Journey delivered a very good talk, about life, love, passion and God. Through the Leadership Journey, I understood myself better. I’ve learned that in whatever I do, I should do it with the best I can. Life is tough. We should look back to the past to understand the present and to continue with the future. Living our lives with love is important; it is the meaning of life. Loving is giving, giving is caring. And caring can be in the act of encouragement, kindness and sacrifice. We actually show these everyday, with our loved ones. But what we forget is to give our love and care to those in need, like our students. As a teacher, we shouldn’t teach lesson in school but also the lessons in life, we should teach by example. Teaching is a hard profession, because we have to love endlessly. Every student must feel this, without exception. We should like the unlikeable and love the unlovable. In loving, there is sacrifice. It means every pain and problem we experience in our life and work is part of loving. And if we stop loving, we stop living. Cherry Daniela W. Laureano, M.A.P.E.H. “Noong una, nagdalawang isip ako kung sasama pa ako sa retreat. Pero gumawa ng paraan ang Panginoon para makasama ako sa retreat na ito. Narealize ko na hindi lang pala pagtuturo ang responsibilidad ng mga gurong katulad ko, kundi ang maging inspirasyon sa mga mag-aaral, maging parte ng buhay nila na may pagmamahal at pagmamalasakit. The Participants pose for camera during one of their break time. “The Leadership Journey was a time for me to be able to take a break from my usual life and take a step back to take a look at where I am at the moment and to see what had happened to my vocation as a teacher. The retreat was a wake up call to rekindle my passion for teaching; a time to make that passion burn again, if not burning, at least it lighted much brighter than before in spite of all the challenges that we meet in our school’s day to day activity.